Putting junk in your trunk, one car at a time. We will be back in Marquette at the Marquette County Fairgrounds, July 13th, 2019 for our Flea Market, and July 12-13th will be for our Vintage Camping/Glamping event. Come out and shop, tour the vintage campers, have a bite to eat, and listen to our musical entertainment. Have a classic car or truck? Drive it in, and get free admission for up to (2) people, as well as special front row parking! Vintage Camper Tours: Throughout the day. Don't forget to vote for your favorite! Come Dressed in Vintage Attire for a Chance to win Prizes, or Thrifter Sister Bucks! Admission: $5.00 per person. Children 13 and under, Free! Military Veterans Free! *No dogs allowed in the Flea Market Area. Campers must have dogs on leash. Come experience our Boutique Style Flea Market shopping! We specialize in Vintage, Retro, Mid Century Modern, Farm Style, Shabby Chic, Industrial, Antiques, Repurposed, Handmade, and More! Enjoy some BBQ from A Vintage 1970 Airstream! Listen to live Music, and stop by our Photo Spot! Classic Cars and Trucks are welcome to come and park in a showcase area. Free admission for (2) for each classic vehicle! Come dressed in Vintage attire for a chance to win a prize or thrifter Sisters Bucks! Have a Vintage Camper? Come camp with us, Friday, and Saturday, July 14th-15th! 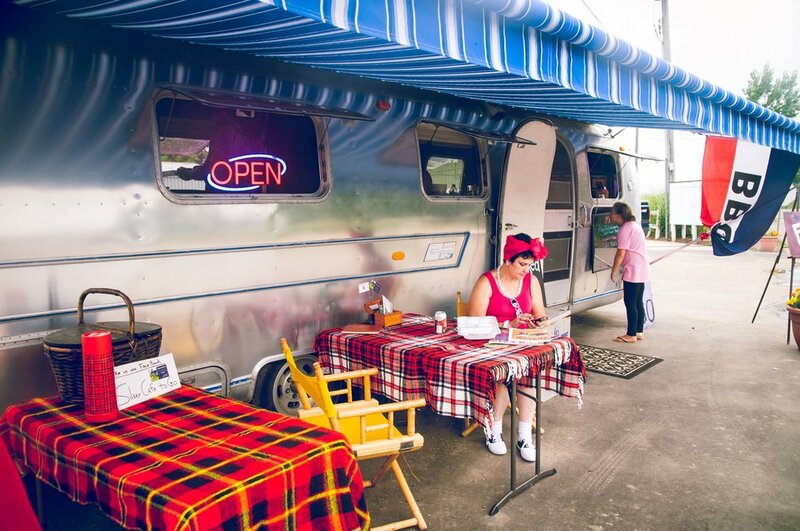 Show off your Camper in an open house to our shoppers during Saturday's flea Market. our shoppers will vote on their favorites! Trophies and prizes to be given out Saturday, July 15th! Activities for Campers, Friday and Saturday evenings, including live music. All the images used in this template are the property of Thrifter Sisters Flea Market and used only with permission. 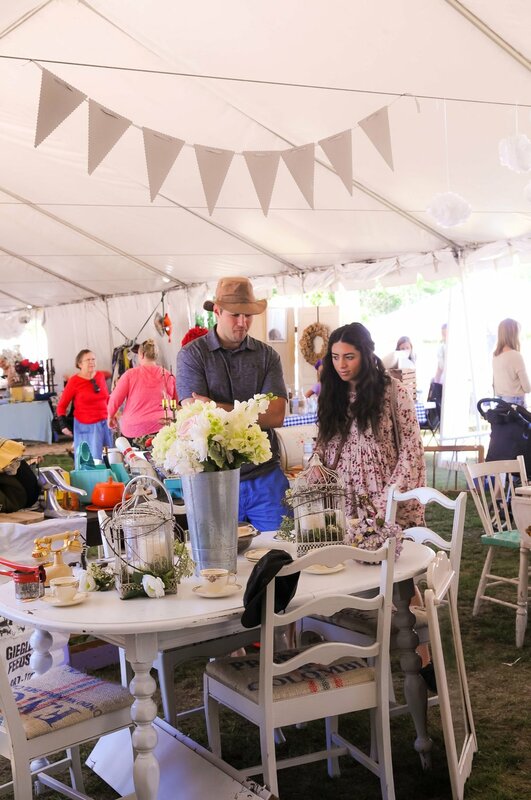 The Thrifter Sisters Flea Market is a traveling boutique flea market. Specializing in Vintage, Retro, Shabby Chic, & Cottage Style as well as Industrial, Mid Century Modern and Re-Purposed.